Classic pulp superhero The Fox, who is featured in New Crusaders: Legacy, will also have a new title coming this fall by writer Mark Waid and artist Dean Haspiel. 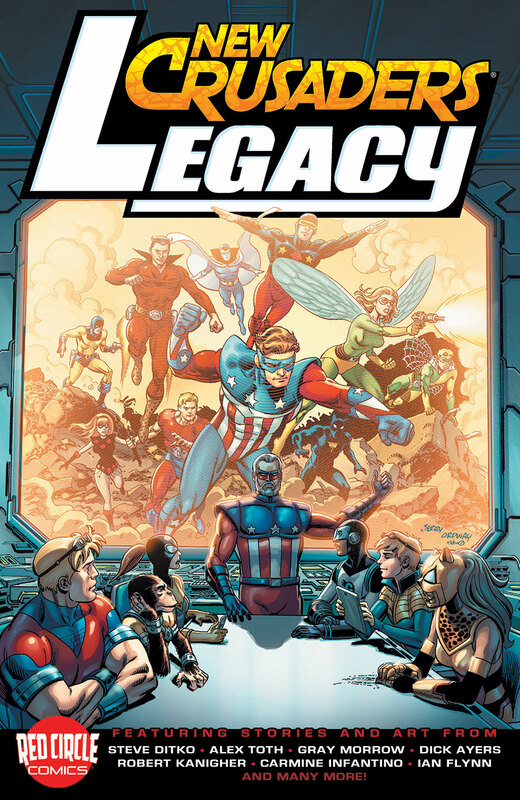 Pre-order your copy of NEW CRUSADERS: LEGACY now! Need to catch up on the story so far? Then order a copy of the NEW CRUSADERS: RISE OF THE HEROES graphic novel. Stay up-to-date on all of the news from the Red Circle Universe by following New Crusaders on Facebook and Twitter.